If your home is currently on the market, or you plan on listing in the next few weeks, here are some things to consider when it comes to showings. The Ottawa real estate market is still quite active this year so you want to ensure that you put your best foot forward for potential buyers. 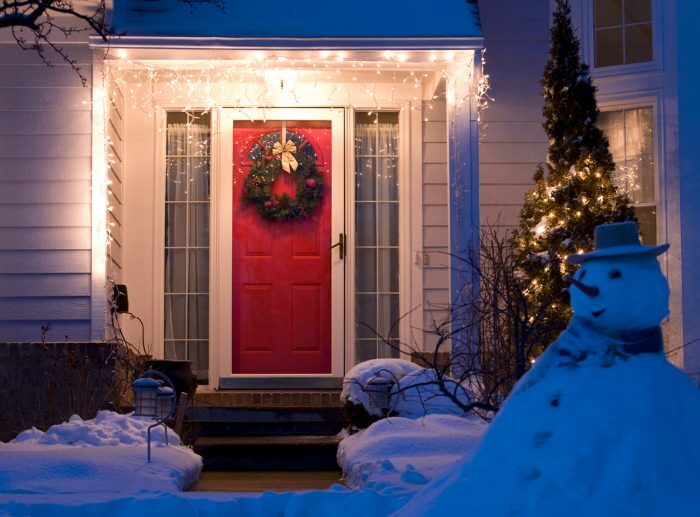 Embrace the season and work closely with your Realtor to get your home sold! The holidays are a chaotic time of year for everyone so keep in mind that people who are booking showings at this time are likely serious buyers with motivation; most casual searchers will likely take a break at this time of year and pick up their search in the new year. It may seem daunting to get ready for a showing at this busy time of the year, but keep in mind that it may be worth it. It is a beautiful time of year and you can certainly take advantage of this in the staging of your home. Incorporate your holiday decor all around your home to give it a warm and festive feeling. Be careful not to go over the top as too many decorations can crowd a room or distract buyers from the home itself. Also, stick to seasonal holiday decor rather than items with a religious theme; you want buyers to picture themselves living in your home so more generic theme will have the greatest impact regardless of denomination. Now that the leaves have fallen from the trees and the landscape is blanketed with snow, your home becomes more exposed. Make sure that everything is clean and well maintained. Take good care of your driveways and front step to ensure that the snow and ice don’t build up. A holiday wreath and Christmas lights (not over the top!) can also be a nice touch to showcase your home. Let’s face it, it’s freezing out! You want buyers to feel warm and cozy during showings so don’t be afraid to crank the heat. If you want to leave a great impression, consider leaving out some homemade holiday treats for the buyers to enjoy during their tour. If the right buyer doesn’t show up over the holidays, things always pick up in the new year! Take some time to enjoy the season with your family and leave your worries until January! Home » Blog » Posts » Uncategorized » Holiday Showings?